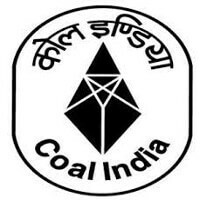 WCL Recruitment 2018 – Western Coalfields Limited (WCL) job notifications for 333 Mining Sirdar vacancies. The detailed eligibility and application process are given in below. The selection process will comprise of written test only. The candidates who obtain qualifying marks will be shortlisted on the basis of merit. The Written test shall comprise of 100 questions (objective type, multiple choice). The duration of examination is of Two hours. Mode of Payment: Demand Draft from any nationalized Bank in favour of “Western Coalfields Limited, Nagpur” payable at Nagpur. How to apply for WCL Recruitment 2018? All interested and eligible candidates can send duly filled application form along with required documents to the following postal address on or before 27 September 2018.